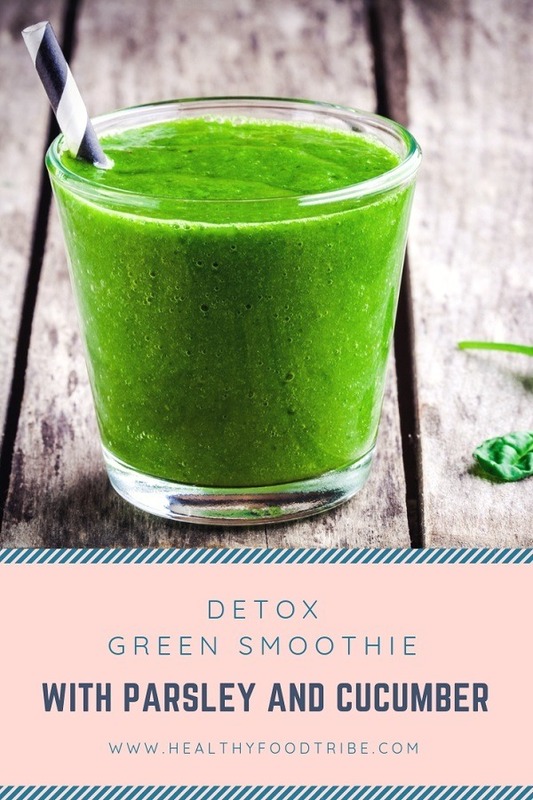 Let’s have a look at what goes into this delicious detox green smoothie. Feel free to experiment a little bit with the ingredients to satisfy your taste buds. The most important ingredients for detoxing and weight loss purposes are parsley, cucumber, lemon and ginger. Parsley is a powerful herb with many health benefits. 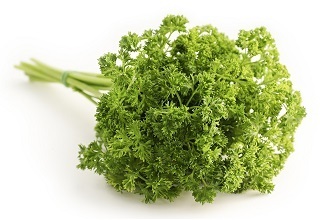 The juice of parsley can serve as a diuretic, so it stimulates kidney activity to flush toxins out of our system. Rich in antioxidants, vitamins, minerals and dietary fiber, parsley can help prevent constipation, control blood-cholesterol and provide better protection against diseases. Lemons are a very nutrient rich fruit that will make your immune system stronger, as they help stabilize your pH levels. An excellent source of vitamin C, consuming lemons can help protect your body against immune system deficiencies. Ginger reduces inflammation and is very effective at fighting those nasty and unwanted cold and flu symptoms. Cucumbers are a good source of B vitamins, vitamin C and vitamin K, and help control cholesterol, blood pressure and blood sugar levels. So what are you waiting for? Go ahead and prepare yourself this amazingly healthy green smoothie, you won’t regret it! 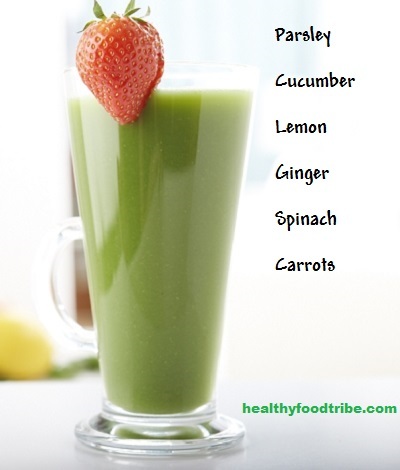 A powerful parsley detox green smoothie with cucumber, lemon, ginger and spinach. Feel free to add more fruits to make it taste sweeter. Cut the lemon, ginger, cucumber, carrots and orange in smaller pieces. Both the lemon and orange can be blended with the skin, depending on how powerful your blender is. Add all ingredients in the container of the blender in this order: cucumber, orange, lemon, parsley, spinach, carrots, ginger, water and ice cubes. But it would really help if I knew the nutritional information. Glad you liked it Rachel! Good point about the nutritional information, I’ll try and include that in the future. You can easily find the nutritional values of the ingredients and do the math. Love this smoothie in the afternoon when I need that energy kick! How much and how often should you drink this? Is it something that you would want to drink for a certain number of days and then take a break from it? Hi Kelly, I personally drink this once every two or three weeks, it’s a very powerful smoothie! Balance and variety is always best when it comes to nutrition.